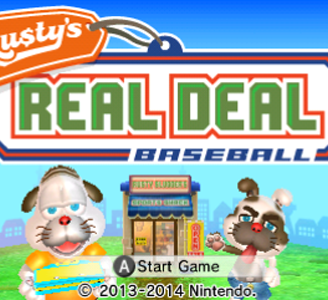 Rusty's Real Deal Baseball is a baseball video game developed and published by Nintendo, starring the titular Rusty Slugger and the player's Mii character. It features a collection of baseball themed minigames. Minigames are purchased and downloaded from the Nintendo eShop. Players can haggle with Rusty to decrease a game's price with donuts or discount tickets obtained from the minigames. Rusty’s Real Deal Baseball plays okay in Citra. It requires system files from an actual Nintendo 3DS before it can start up. There are no graphical issue with exception being the player’s Mii character. Due to Citra lacking a functioning Mii Maker, the player’s Mii character will appear headless. Save data from an actual Nintendo 3DS fixes this. Sometimes when loading/finishing a challenge, the game will freeze up, forcing a reset. Save data with working Mii face Extracted from a actual Nintendo 3DS. 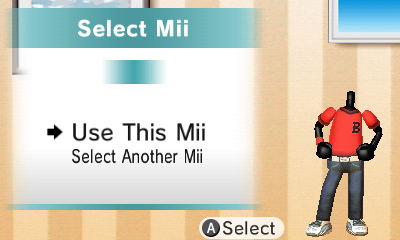 Save data with a working Mii character. Can only play the demo version of Bat & Switch. Only works for USA version.